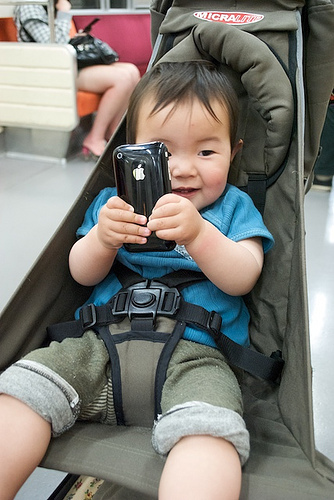 According to a report to be released Monday by Common Sense Media, the vast majority of young children in the United States are using mobile devices and for much longer periods of time, with an even greater number of babies being exposed to the smartphones and tablets that have become a bigger part of family life. Women remain underrepresented in many fields of science, technology, engineering and mathematics (STEM). Esteemed panelists, planetary scientist and NASA Distinguished Public Service Medal winner Dr. Laurie Leshin, zoologist and MacArthur Genius grant winner Dr. Sally Otto, and Vice President, Response Biomedical Corp and UBC Science Alumna Dr. Barbara Kinnaird-Steen, with our moderator Dr. Simon Peacock, Dean of UBC’s Faculty of Science discuss the STEM gender gap. Learn how we can encourage more young women to embrace science, listen to practical advice for women pursuing STEM careers, and discover what factors may affect young women’s careers in the sciences. Presented as part of UBC Science’s 50th Anniversary. This event took place on Friday, October 25th 2013 at the Allan Yap Biodiversity Theatre, Beaty Biodiversity Museum | Faculty of Science. This talk is presented as part of UBC Science’s 50th Anniversary lecture. Dr. Barbara Kinnaird Steen - Barbara serves as Vice President of Research and Development at Response Biomedical Corp. Dr. Steen served as Vice President of Response Biomedical Corp. Dr. Steen served as Senior Director of Operations and Vice President of Operations at Response Biomedical Corp. Dr. Kinnaird-Steen has over 19 years of research and business experience primarily in the field of infectious diseases and Point of Care (POC). Dr. Laurie Leshin - Laurie serves as Dean of the School of Science and Professor of Earth & Environmental Science at Rensselaer Polytechnic Institute, where she leads the scientific academic and research enterprise at the oldest technological University in the United States. Dr. Sally Otto - Sally is professor in the Department of Zoology at UBC, studying population genetics and evolutionary biology. I develop and analyse mathematical models to study how populations change over time. The aim of this work is to identify when and whether particular evolutionary transitions are possible. Dr. Simon Peacock – Simon is Professor and Dean of Science, UBC, and Dean at the Faculty of Science. His research focuses on understanding the thermal, petrologic, and seismological structure of subduction zones.